Top » Catalog » Replacement Parts » C905_btn Bookmark Us! the Critical parameters are the same - such as button / housing mating surfaces so they can be interchanged with existing housing or buttons. Wall thickness has been grown to ensure a quality injection. Button Face has been thickened to 3mm for deep laser etches. These button came in two sizes which are generally interchangeable. Gottlieb used created a button with a longer pole (by about 1/8"). While Bally used a slightly shorter pole. To ensure compatibility with all games; our product has the slightly longer pole. Some experts recommend shimming the switch assembly; while I've just been using them as a drop in; adjusting the switch stack. 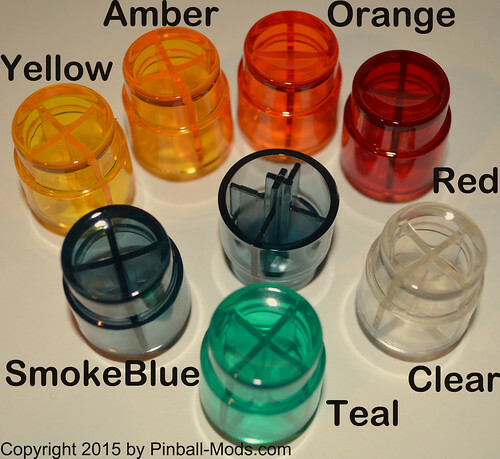 These Buttons are made out of PMMA (Acrylic) so they can be laser etched on a CO2 laser machine like I did on my Original Bally Star Trek Restoration. Colors are show below and should represent the colors. Keep in mind your monitor and my camera's color balance will throw the colors off a bit from the actual product you receive so use these as an approximation of what will be shipped to you. This button is a bolt-on replacement for your existing button and should be obvious how to install. Simply remove the existing button via the two screws and the flipper switch and reinstall your new button. For more information on these buttons or for general help; please visit the Pinside Thread or our Blog. 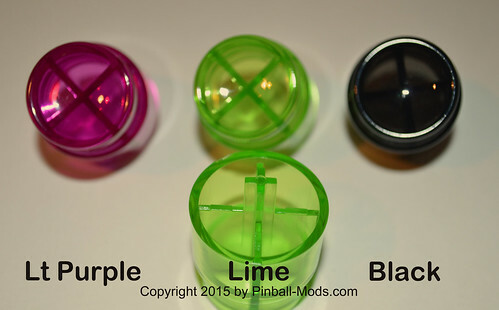 one button (you'll typically need to order TWO for most machines). 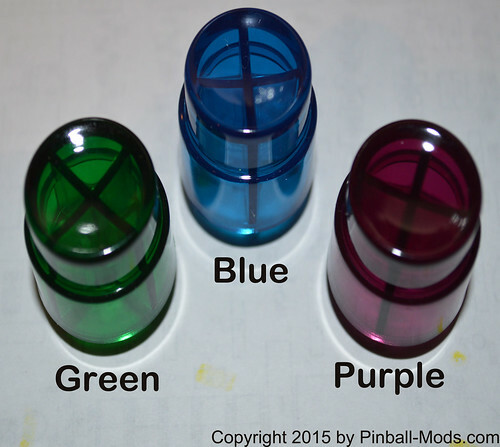 Notify me when "Early Solid State Pinball Button" is re-stocked.